Sitting on the banks of the River Little Ouse, Thetford is a market town in Norfolk’s Breckland district. With a population of around 25,000, there’s a good selection of housing in the area ranging from affordable terraces to more spacious detached homes. At My Home Move Conveyancing we’ve been developing our knowledge of local markets like the one in Thetford since 2001, enabling us to bring our clients in the town an outstanding specialist, fixed fee conveyancing service. You’ll need to instruct property lawyers to complete the legal work when you buy or sell property in Thetford. 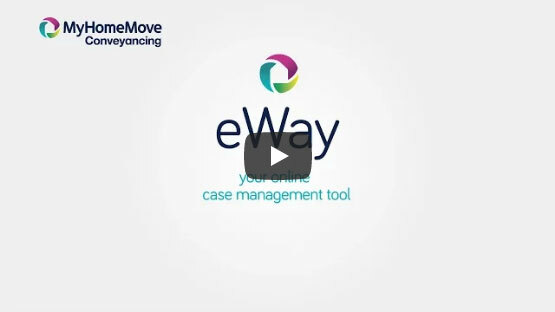 Choose My Home Move Conveyancing to be your Thetford conveyancers and make the most of our award winning customer service. We combine this with a revolutionary use of technology to deliver more completions per year than anyone else. Our market-leading conveyancing service comes for a fixed fee, and if you don’t end up moving for some reason, you won’t have to pay us anything thanks to our ‘no completion – no fee’ policy. We’ll assign you a dedicated conveyancer, who’ll act on your behalf from start to finish. You’ll enjoy the benefits of a consistent point of contact, regular progress updates and a high level of expertise. For your convenience, you’ll also have online access to your account so you can check on things whenever you want. At My Home Move Conveyancing we’re proud to supply our professional conveyancing services in Thetford to homebuyers across the local area, from those looking for something in the town centre, near the train station, or on the outskirts with great access to Thetford Forest Park. The average house price in Breckland is £215,656, while in Thetford the overall average sale price during the past 12 months was lower than this at £181,163. Terraced properties were involved in the most sales in this period, going for an average of £145,299, with detached houses fetching £255,272 and semis £172,721. With evidence pointing to Thetford being an important place among the Celtic Iceni tribe during the late Iron Age and early Roman period, the town lies at an important crossing point of the River Little Ouse. There’s plenty of local history to explore, from the Norman Castle Hill to the Thetford Hoard, as well as beautiful natural scenery in the form of Thetford Forest Park. As Thetford is in the mostly rural Norfolk, it doesn’t have the best transport links when it comes to air, rail and road. The nearest motorway is the M11 which begins at Cambridge over 30 miles away, leaving a network of A roads such as the A11 and A134 as the best way to get around. The town does have its own train station, and although services can be quite limited, you can get to both Norwich and Cambridge in around three quarters of an hour. For families with children, the choice of local primary schools includes Norwich Road, the Bishop’s Church CofE and Redcastle Family School on St Martin’s Way. The Thetford Academy is the town’s mixed secondary school, while Thetford Grammar is an independent school which looks after children aged from three up to 18. All properties in Thetford will fall within one of the following council tax bands.